All posts tagged "natural skincare"
Is winter giving your complexion a tough time? Skin exposed to harsh winds, frigid temperatures, and bone-dry indoor air cries out for emergency relief. A facial mask that contains a topical form of niacin (vitamin B3) is a great multi-symptom remedy for skin that’s feeling under the weather. A mask that contains topical niacin helps winter-weary skin recapture its healthy natural glow. Topical niacin helps seal in moisture by stimulating the production of ceramides, a type of fat molecule that’s a major component of the skin surface. Ceramide production declines as we age, leaving mature complexions more vulnerable to the environmental assaults of winter. Natural derivatives of niacin, such niacinamide extracted from whole grain wheat, offer a safe and highly effective way to increase hydration and restore the firm, supple quality of youthful skin. By strengthening the skin’s natural protective barrier, niacinamide not only helps keep moisture in but also helps keep chemical irritants and bacteria out. This ability to repel bacteria, together with its oil-control and anti-inflammatory properties, makes niacinamide an important player in acne treatments. Complexions troubled by other inflammatory conditions such as rosacea, psoriasis, and eczema also benefit from this healing nutrient. The visible improvements in mature skin treated with this powerhouse ingredient don’t stop there. Niacinamide helps lighten brown spots, improve blotchy or sallow skin tone, and minimize fine lines and wrinkles by boosting collagen production. It even helps protect against sun damage. Be sure to get enough dietary niacin, too. Vitamin B3 helps sustain healthy cell function, reduce hardening of the arteries, and balance cholesterol levels. There are plenty of good sources, including turkey, chicken, tuna, salmon, grass-fed beef, while grains, peanuts, green peas, and mushrooms. Nutritious whole foods like these are the most essential ingredients in your anti-aging skincare regime! Regardless of your complexion type, protection should be your chief skincare concern in the summertime. Sun exposure not only increases your risk of skin cancer, but is also responsible for as much as 90% of premature aging. Sun protection is the key to a healthy summer skincare regime <FreeDigitalPhotos.net>. To help minimize environmental skin damage, it’s a good idea to limit sun exposure, especially between the hours of 10 a.m. and 4 p.m. Wear a wide-brimmed hat, sunglasses, and loose, tightly woven cover-ups. Try to stay in the shade. While our bodies need sunlight to synthesize vitamin D, 5 to 30 minutes of exposure without sunscreen, twice a week is usually sufficient (read more about sun safety). A hydrating organic day cream that contains a mineral sun block protects skin from summertime stresses. Cleanse and tone gently To clear excess oil and impurities from pores without stripping skin of necessary moisture, use organic products with plant-derived cleansers and moisture-binding ingredients. Look for ingredients like soapbark, aloe vera, glycerin, and hyaluronic acid. Powerful natural antioxidants and anti-inflammatories including white tea and sea buckthorn help counteract the aging effects of the sun. Modify your exfoliation program Freshly exfoliated skin is particularly vulnerable to sun damage. The best time for an intensive exfoliation program is in the late fall and winter months. During the summer, you can speed up cell turnover by lightly exfoliating your face with a soft sponge and an all-natural cleanser that contains white willow bark. Balance moisture levels An organic day cream that contains a natural mineral sun block not only shields you from sun damage, but also helps regulate oil production. To keep skin hydrated without clogging pores, choose moisturizers made with pure botanical oils. Ingredients such as shea butter and jojoba and avocado oils deliver moisture and age-fighting nutrients below the skin surface, where new cells are forming. Be sure to protect the thin, delicate skin around your eyes with a cream specially formulated for this area. 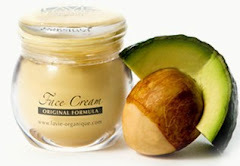 If your skin is very dry, continue using a super-rich organic skin cream at night. Remember: For beautifully balanced skin all year long, always choose skincare products that are 100% free of parabens, petroleum derivatives, synthetic fragrances and preservatives, and other artificial or impure ingredients. Whether you call them crows feet or laugh lines, wrinkles around the eye are something most of us want to prevent or minimize. The right eye cream is an important part of the solution, but the complex challenges of treating this delicate area require a combination of proven anti-aging strategies. Here’s why. As we age, the underlying collagen network, muscles, and bones that support our skin gradually weaken and atrophy. The thin, fragile tissues of the eye area are particularly vulnerable to this process. Its visible effects can include deep wrinkling and creases, sagging, under-eye bags, and the appearance of sunken eyes and prominent dark circles. Invasive procedures can temporarily improve these symptoms, but they don’t address their root causes. An anti-aging program based on traditional European skincare practices offers a vital benefit: It can help slow and even reverse the ongoing tissue changes that make you look older. Seek serious sun protection – Zinc oxide serves a powerful but gentle shield from UVA rays. Wear a hat and sunglasses to minimize squinting. Handle with care – Don’t rub your eyes or stretch the surrounding skin. To restore strength and elasticity, nourish under-eye skin with a balanced diet of pure, gentle botanicals. Use top-quality organic skincare to stimulate collagen renewal and heal inflammation and free radical damage. Professional microdermabrasion and/or fruit acid peels – Make sure the provider you choose has the advanced training required to safely treat the exceptionally sensitive skin around the eyes. An all-natural eye cream – Choose a cream specially formulated for this area. Look for gentle yet potent anti-aging ingredients like white tea, horsetail, rosemary, and natural vitamins A and E. Because the eye region has relatively few oil glands, keep it drenched in botanical oils and humectants. Moisturizing ingredients such as hyaluronic acid, squalane, shea butter, and jojoba oil penetrate below the skin surface without clogging pores. Practice Facial Fitness – Properly performed resistance techniques increase muscle mass, restoring youthful contours around the eye. By rebuilding the underlying tissues, facial exercises make the skin look tighter and more toned. Watch this From My Neck Up™ video to learn how facial exercises can firm the eye area. Eat a diet with plenty of lean protein, fruits and vegetables, and heart-healthy oils. Drink 6-8 glasses of water to help flush excess fluids. Is there a skincare issue you’d like to know more about? My mission as a skincare provider and educator is help people address challenging beauty issues with wellness-based skincare methods. Let me know what’s on your mind by sending your questions and concerns to the Comments section of the blog. Brighten Up Pale Skin Tone—Without Makeup! The good news about the beauty benefits of fruits and vegetables has just gotten better. Not only do these nutrient-rich food help fight the aging effects of environmental skin damage—they can streamline your morning makeup routine. <The pigments in produce perk up pale complexions. Based on their results, the scientists believe that simply adding one additional portion a day can visibly brighten the skin in as little as 6 weeks. Add warmth to winter-weary skin with skincare ingredients from the garden. The key to avoiding irritation and lingering redness is a balanced formula. Check the label for rosemary, honey, eucalyptus, peppermint, and other calming ingredients. And be sure to follow your mask with a soothing toner and rich, hydrating face cream. 1. DON’T eat foods that promote hormonal imbalances and inflammation. Healthy sweets (eat sparingly) – Substitute honey, maple syrup, and molasses for refined sugar; add high-fiber, nutrient-dense ingredients such as dried fruit and nuts; include anti-inflammatory dark chocolate and cocoa. 3. DO keep your weight and stress levels in check with vigorous physical activity, plenty of restful sleep, and regular interludes of relaxation. Restore clear, healthy skin, with the right balance of pure, plant-derived nutrients inside and out. 2. DO calm, hydrate, and protect hypersensitive skin with premium organic skin care. Natural vitamin A – Avoid overuse of topical retinoids to prevent harmful levels of inflammation. Regardless of the acne treatments you’re currently using, I’m confident you’ll find that this integrated health-driven approach to restoring hormonal balance to your skin will optimize the results—and contribute to your total wellbeing. Paradoxically, the part of the body that needs the most care and attention to remain youthful-looking generally gets the least. Even people who pamper their face with expensive creams and salon treatments routinely ignore their necks. The delicate skin of our neck demands plenty of TLC. Regardless of your age, it’s never to begin a healthy relationship with your neck – or to start looking younger by cultivating a disciplined in-depth neck-care regimen. (a) Stay out of direct sunlight. (b) Wear a mineral-based sun block. (a) Avoid soap, alcohol-based astringents, and other harsh skincare products. (b) Never scrub your neck! (c) Minimize lines and wrinkles by sleeping on your back. 3. Keep skin super-hydrated with plant-derived humectants and emollients. (a) Avoid overuse of retinoids. (b) Apply soothing natural anti-inflammatories such as green tea, chamomile, and aloe vera. 5. Kick harmful lifestyle habits. (b) Lower your sugar intake. 6. Promote optimal cell function and stimulate cell renewal. (a) Eat a diet rich in antioxidants, vitamins, minerals and proteins. (b) Use green skincare treatments that comprise the same vital nutrients. (c) Maintain a balanced exfoliation routine – Find the healthy midpoint between too much and not enough. (i.) Gently slough off old skin with a soft washcloth or sponge. (ii.) Use safe, non-irritating but highly effective natural exfoliants such as finely ground tree nuts. (a) Stimulate circulation throughout your body with a vigorous fitness routine. (b) Use massage and acupressure techniques to improve blood flow and relax wrinkles. (c) Restore muscle and bone mass with facial and neck exercises. Although generations of women have relied on face and neck exercises to delay and help repair the visible signs of aging, this traditional practice remains controversial among mainstream beauty experts. In my next post, I’ll discuss the facts behind the opinions of this widely misunderstood anti-aging method. December can be the cruelest month of all for your complexion. Just when it’s your time to shine at holiday parties and family gatherings, your skin turns dull and lifeless. As dry, frigid weather sets in, the superficial lines you barely noticed in the fall start to deepen. In a matter of weeks, this environmental assault on your skin can add years to your appearance. As the toll of wintertime stresses on your complexion mounts, the temptation to fight back with drastic measures can become hard to resist. But if you’re on the verge of submitting to radical cosmetic procedures, I urge you to wait and consider a safer, more sustainable approach. Rather than investing in a potentially hazardous quick fix, commit your time and attention to creating the conditions for naturally beautiful skin. In the coming weeks, I’ll introduce you to a comprehensive wintertime skincare program based on the wellness practices developed in Romania’s world-renowned Black Sea spas. The centuries-old holistic philosophy behind these practices teaches that every aspect of our selves-including our outward appearance-is a reflection of our total well-being. The holistic skincare practices I learned from my Romanian mother and grandmother offer an intuitively wise and scientifically valid alternative to invasive anti-aging methods. Instead of attacking ailing complexions with scalpels or deep laser or chemical burns, this wellness-based skincare approach strives to nurse fragile, damaged skin back to health by restoring and sustaining its natural ability to repair and renew itself. Just as we insulate our bodies from the elements by layering sweaters, shirts, and long johns under our winter coats, our skin shields the tissues and organ systems underneath it with multiple layers. From the five strata of the epidermis to the underlying dermis and subcutaneous tissues, every cell layer of this complex vital organ needs proper care, feeding, and protection to survive and flourish. But the benefits of a truly holistic skincare regime go deeper still. By providing equal support for the microcirculatory system, underlying musculature, and internal organ systems that maintain the health and youthful appearance of our skin, this multilevel skincare program safely achieves beautiful, lasting results. In my next blog, I’ll start outlining the steps to keeping your skin health and beautiful all winter long–and beyond. Sorbitol is a wholesome green skincare ingredient with an image problem. Given its familiar reputation as low-calorie sugar substitute, you might be surprised to see sorbitol turning up on the labels of premium natural skincare products. But don’t be misled by names and superficial impressions. A closer look at both its origins and underlying chemistry, as well as the methods used to extract it for green product developers, reveals this up-and-coming skincare ingredient’s true nature. Known in scientific circles as a sugar alcohol, sorbitol falls into a category that sounds like the height of dietary indulgence. In fact, sugar alcohols like sorbitol are neither sugars nor alcohols, but polyols, a special class of carbohydrates found in plants. Unlike refined sugar or synthetic sweeteners, authentically green sorbitol is derived from sugarcane, sugar beets, fruits, berries, or other plants and purified without industrial-strength solvents. Simple eco-friendly processing methods, such as boiling, and meticulous attention to exacting green manufacturing standards ensure the resulting product is free of naturally occurring and synthetic contaminants and residues. * Superior water-binding capacity This powerful natural humectant attracts moisture from the air, binds it to skin cells, and slows its evaporation. Sorbitol not only keeps your complexion looking firm, fresh, and vibrant by plumping up surface cells, but also promotes healthy cell renewal by ensuring the underlying dermis remains fully hydrated. * Low-weight organic molecules Sorbitol’s moisture-binding molecules are quickly and easily absorbed into the skin’s deeper layers. As result of chemical similarities between plant-derived sugar alcohols and substances produced by our own bodies, sorbitol is less likely to prove irritating or damaging to sensitive complexions. * Non-oily lubrication This beautifully balanced emollient leaves skin silky smooth without depositing a greasy film or clogging pores. Natural sorbitol is a safe, effective alternative to propylene/ethylene glycol, silicone-based ingredients, PEG compounds, and other widely used synthetic humectants and emollients. But make sure your sorbitol-enhanced beauty products live up to their claims. A thorough background check of popular “natural” skincare lines too often reveals evidence of chemical irritants, manufacturing residues, toxic contaminants, and other potentially harmful substances. Always choose brands with a proven commitment to product quality, sustainable manufacturing practices, and consumer safety and well-being. Certification by a respected green standards organization, such as the Natural Product Association, officially guarantees that the skincare line you’ve chosen meets the most exacting product requirements in the natural skincare industry. Numerous scientific studies confirm that our skin serves as major port of entry for potentially dangerous topical skin-care ingredients. In fact, many experts believe that swallowing these chemicals is actually less dangerous than absorbing them through our skin. While powerful enzymes often detoxify ingested chemicals in our digestive tract, those that enter our bloodstream through the skin retain their full potency. Unfortunately the protective barrier formed by our skin isn’t leak-proof. The permeability of the skin’s surface layer varies across different areas of our body. Areas where skin is thinnest, such as our face and neck, are particularly vulnerable to invasive toxins. Both the composition of the topical chemical involved and the structure of an individual’s skin also help determine the amount of that substance that enters the circulatory system. According to one toxicology study, the hairiness of our skin may also affect the rate at which our skin absorbs certain chemicals. Don’t Let Toxic Invaders Get Under Your Skin! Unfortunately, many of today’s mainstream skin-care manufacturers—including makers of popular baby-care products—continue to ignore the public health risks of exposure to not only chemical irritants but also “hidden carcinogens.” These silent, potentially lethal invaders include DDT-like pesticides, carcinogenic manufacturing residues, and ingredients that are chemical precursors to carcinogens or that can release cancer-causing agents as they degrade. Even many so-called “natural” brands fail to live up to their comforting claims. Just because the label boldly proclaims the product is 100% free of the most notorious troublemakers (i.e., parabens, mineral oil, petrolatum, and polyethylene gycol) doesn’t mean it’s devoid of unsafe ingredients or harmful contaminants. DEA (diethanolamine)/MEA (monoethanolamine)/TEA (triethanolamine): Already restricted in the European Union, these potential liver and kidney carcinogens are still commonly used in the U.S. and Asia to adjust the pH of cosmetics or to increase the foaming of action of cleansers. Their toxic effects include allergies, eye irritation, and dryness. Silicone-derived emollients: Stay clear of dimethicone, dimethicone copolyol, and cyclomethicone. Manufactured from the same material used for breast implants, these popular lubricants are widely used in skin creams that claim to reduce the appearance of wrinkles and to “lock in” moisture. What the product makers fail to mention is that this sticky goo coats your face like a layer of Saran wrap, trapping sebum, dirt, and bacteria, while preventing your skin from breathing and releasing metabolic waste. Research has shown that silicones are stored in our livers and lymph nodes and contribute to the development of cancerous tumors. Midazolidinyl urea: A wide variety of cosmetics, from exfoliants, eye creams, and anti-aging and rosacea treatments to sunscreens and makeup remover, contain this synthetic preservative. Typically derived from ammonia, midazolidinyl urea is currently under study as a possible carcinogen and has been shown to release the potentially deadly chemical formaldehyde during the manufacturing process. Formaldehyde can also cause eczema, blistering, contact dermatitis, and severe allergic responses. Lanolin: Who would imagine the old standby of our mother’s generation could increase our exposure to toxic chemicals? An “organic” oil derived from sheep’s wool, this seemingly harmless natural moisturizer is often contaminated with carcinogenic pesticide residues. Sodium lauryl sulphate (SLS): A common ingredient in shampoos, body washes, and other bath products, this industrial-strength detergent is made up of lightweight molecules that quickly penetrate into the deeper layers of our skin. Scientific studies indicate that SLS can accumulate in the brain, as well as in the heart and liver. SLS is so caustic that according to Judi Vance, author of Beauty To Die For (Promotion Publishing, 1998) it not only can impair the functioning of skin cells and hair follicle, but also frequently serves as the chemical irritant of choice in clinical skin-care studies. The best way to protect your skin from chemical risks is to choose a skin care provider you can count on to care about your safety. My commitment to the health of your skin and your total well-being ensures every Lavie Organique™ product is 100% free of synthetic irritants and meets the rigorous quality standards of the Natural Products Association. Many of my first-time clients seem mystified by their troubled skin. They claim their skin-care routine is highly disciplined—but for some unknown reason their unruly complexion just won’t cooperate. The trouble usually lies in their idea of discipline. To my way of thinking, a disciplined skin-care routine is as much about the quality of the time and attention you devote to your skin as the quantity. Treat your problem skin as you would a naughty two-year-old child—as a delicate living thing that requires constant loving care to thrive. When your complexion acts up, don’t punish its natural ups and downs with harsh treatments. Be gentle and consistent in your approach and sensitive to your skin’s unique needs. The kinder and more nurturing you are toward your skin the more lovable your complexion will become. Follow these 10 rules of natural skin care for a complexion that gets better and better every day in every way. 1. Don’t go to bed with makeup on. And no matter how exhausted you are, always remove all traces of foundation, blush, and eye makeup so your skin can breathe easily as it repairs environmental damage and restores healthy cell function during the night. 2. Do wash your face morning and evening. Twice a day is sufficient—any more than that can actually contribute to breakouts by increasing inflammation and irritation, Wash with organic products made from natural cleansing agents including soap bark and phytosterols such as sea buckthorn, as well as rosemary, horsetail extracts. and other plant-derived anti-microbials and anti-inflammatories. 3. Don’t use synthetic alcohol-based toners that can dry and irritate your skin. 4. Do tone your skin with gentle plant-based ingredients. Restore your skin’s protective acid mantle after washing with products that contain mild astringents such as white willow, while fighting infection with natural anti-bacterial herbs and botanicals. Use toners that contain natural emollients and humectants such as vegetable glycerin and aloe vera to help control oily shine between washings without stripping away moisture. 5. Don’t over-exfoliate or scrub your skin. Avoid the irritation and redness caused synthetic chemical peels. Be aware that even some natural scrubbing grains, such as ground apricot kernels, are too abrasive for fragile facial skin. 6. Do use exfoliating products with gentle natural ingredients such as food enzymes, finely ground nuts, and honey that not only accelerate cell turnover and clean pores, but also provide a potent blend of nutrients that fight infection and promote balanced hormonal functioning. Remember: freshly exfoliated skin is drier and more sensitive to sun damage. Make sure you satisfy its craving for extra sun protection, emollients, and hydration. 7. Don’t use greasy petrolatum-based moisturizers. Products that contain petroleum jelly and mineral oil will not only clog your pores but also form a greasy film on the skin surface that can prevent the deeper layers from absorbing the nutrition and hydration required for healthy cell function. 8. Do use a 100% green moisturizer. To restrain unsightly skin eruptions while maintaining a dewy, supple complexion, use a cream with a balanced combination of ingredients. Botanical moisturizers and emollients such as jojoba seed oil that closely resemble human sebum penetrate the skin without clogging pores. A deeply hydrating product that combines plant-derived anti-inflammatories, antioxidants, vitamins and other nutrients with mineral-rich sea salts is ideal for both day and nighttime use. Dead Sea salts, in particular, contain high levels of zinc oxide—a mineral that not only serves as a highly effective sun block but also helps heal acne and control sebum production. 9. Don’t fuel your skin’s “’roid rage.” Meat and poultry, as well as milk and other dairy products that contain synthetic hormones can push moody skin into a full-blown zit-fit. 10. Do keep your skin on an even keel with a healthy holistic lifestyle. Combine vigorous exercise, stress reduction techniques, and balanced nutrition to help your complexion stay clear, calm, and collected. Work out 3 to 5 times a week, integrate relaxation time into your daily schedule, and get 7-10 hours of sleep every night. Be sure to consume plenty of colorful fruits and vegetables. Stick with healthy oils such as contain omega 3s from nuts, seeds, and avocados, olives, and other plant sources and rely on beans and other legumes or organically raised meat, poultry, and fish for essential amino acids. In my next post, I discuss the rules for managing dry skin.